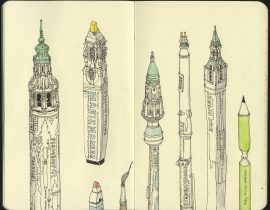 Every month Moleskine selects three myMoleskine authors to be voted as our official Author of the month. Help us pick this month’s winner and discover the best authors of the past months below. Join the challenge by uploading new artworks, hacks or videos every month.